22 Dec Are You Sharing a Closet with Your Spouse? Get Organized! It’s not uncommon nowadays for people to share a one-bedroom apartment or condo with only a single closet between partners. And as much as you could easily take up the whole space, it likely won’t slide with your spouse. It may seem discouraging at first, but there are tons of ways you can maximize your storage space with the help of a few tips from Space Age Closets. So have fun with it! Get yourself an armoire. Consider a roomy armoire with shelves, drawers, and some hanging space, so you’re not desperately squeezing your clothes on a hanger beside your partner’s. If they work with the public or at an office, then their outfits will comprise mostly of shirts, blouses or suits. In this case, they will benefit more from the hanging their clothes neatly to avoid creases and wrinkles. For t-shirts and jeans, insert one vertical row of shelves—you can usually manage to fit eight. They will also likely be enough extra room to store socks and undergarments. Separate your things. At the top of your closet, you should have a long shelf or two, where you can store some accessories and other personal belongings. Line up the whole shelf with 8”-12” containers—it’ll do you both wonders. You will each have your own system and avoid arguments around messing up or misplacing each other’s stuff. At Space Age Closets, we can customize any space—however small—so that you live comfortably, and your closet space is maximized. Even just 2’-0” free on one of your walls is enough to create a storage unit. 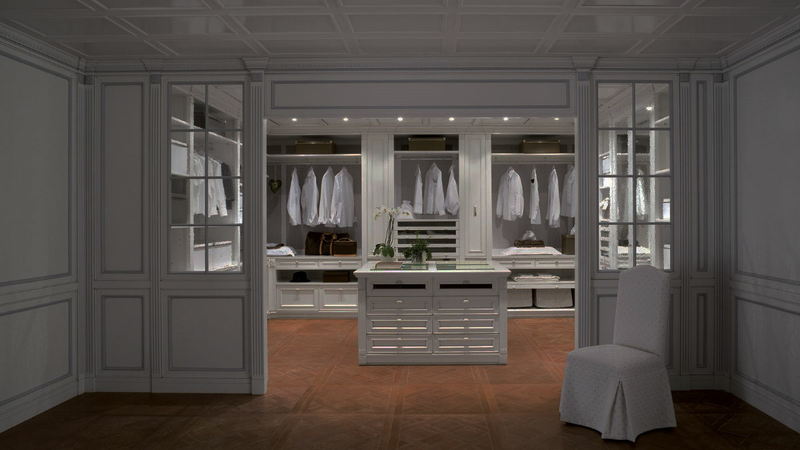 For more information on how we can provide custom closet solutions and more, contact us today.